Classes take place over 12 week terms and there are three terms within one academic year. 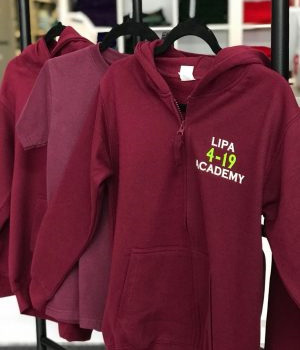 LIPA 4-19 Liverpool is based in the prestigious LIPA building in the centre of Liverpool, and students can benefit from the purpose built acting, dance and music practice rooms. Students will also have the opportunity to perform in a full scale end of year production in the Paul McCartney Auditorium. ​Our classes take place on either a Saturday morning, Saturday afternoon or a Sunday morning. This fee is inclusive of tuition for a term and also an exam fee. Acting, Dancing and Singing classes for 4 to 6 year olds. Acting, Dancing and Singing classes for 7 to 15 year olds. Acting, Dancing and Singing classes for 16 to 19 year olds. Advanced & Extra classes available in Liverpool. Fill in your details below and let us know which Academy you are interested in applying to and we'll be in touch. The following fields are required to submit this form. When you submit this application, the website will email the relevant LIPA team, and your contact details may be shared with the selected Academy team. We will not store the details you provide. Please tick the box if you agree to this. Josh sings his way to Open Mic UK Grand Final! Buy your uniform from our supplier 'Kitted Out'. If you love to perform this is the course for you!